Holland & Knight hosted the breakfast in Boston’s Back Bay area, where Jeff Seul welcomed the room of 48 stakeholders. Jeff set the stage by reminding us that the future of energy has yet to be determined, and that we are here to discuss that future. 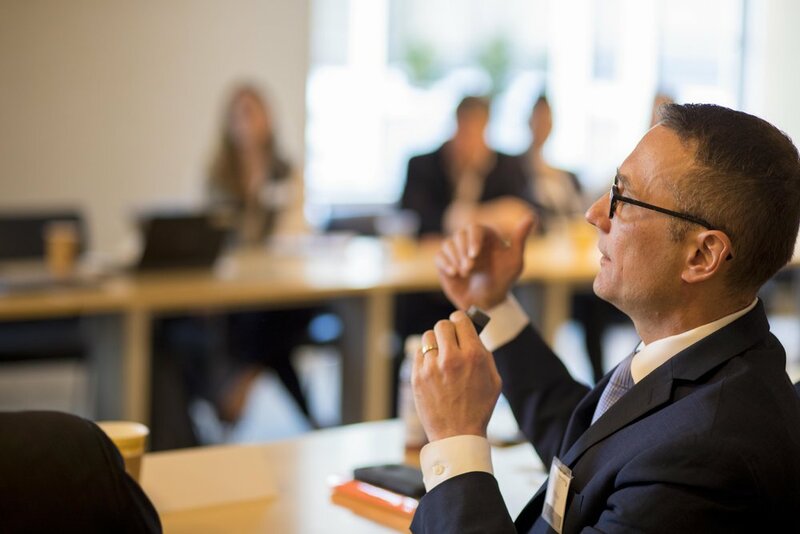 After a follow-up by Advanced Energy Group Founder HG Chissell, the discussion leaders shared their insights on energy resiliency. Alison Brizius, with the City of Boston, emphasized the risks of climate change, namely how storms and floods are increasing in intensity and frequency, where flooding could be a monthly reality for Boston residents. She discussed the Climate Ready Boston strategies the City is implementing to address these threats. Alison also raised some questions and concerns about how to effectively implement the short-term plan with the long-term vision, and the important question of who will provide adequate financial resources for the needed resiliency infrastructure. 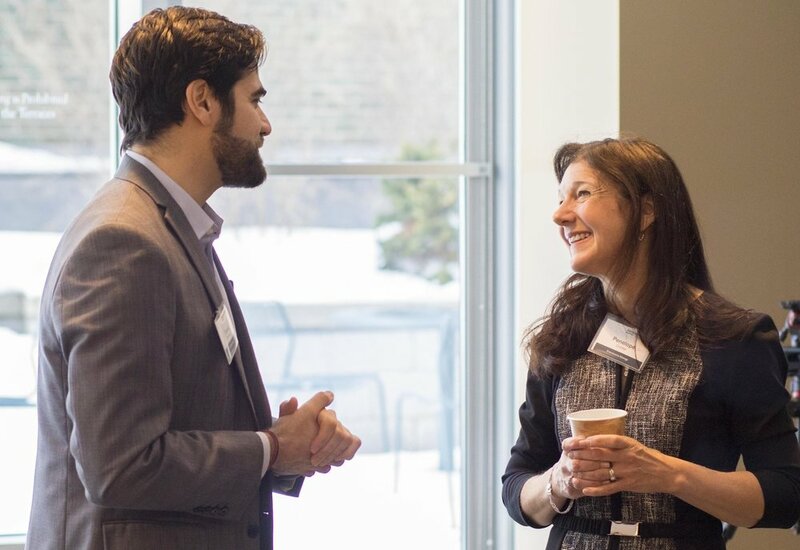 Matt Futch from NREL discussed the effective use of data to create energy solutions, including how to foster collaboration and how to design a system where every stakeholder is accounted for and benefits from it. 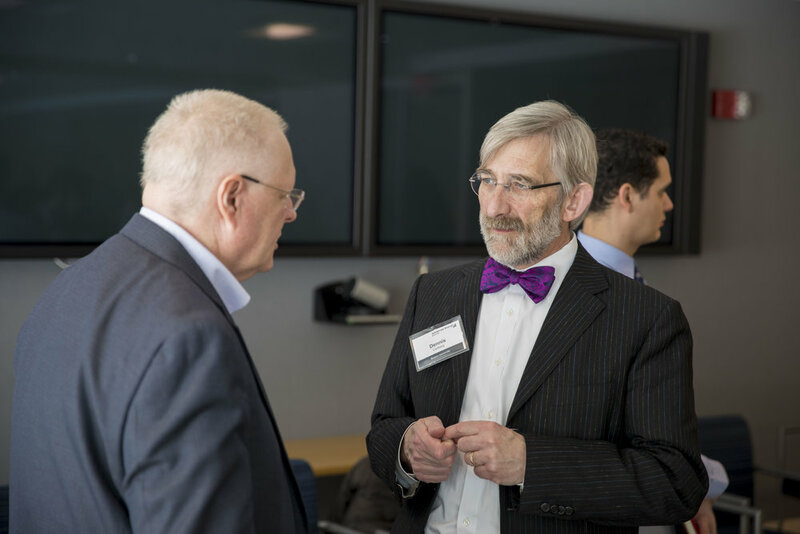 A key feature of his discussion was the value of High-Performance Computing and Visualization that the DOE’s lab hosts at its Energy Systems Integration Facility (ESIF). Sandy Taft with National Grid identified four critical elements that need addressing to ensure resiliency: planning, data, partnerships, and the community. Sandy suggested that addressing these four elements would enable energy stakeholders to implement resiliency solutions effectively. Dennis Carlberg, Sustainability Director of Boston University, highlighted that weather doesn’t know jurisdictional boundaries. Dennis reminded us that our current level of action correlates to understanding what we feel is at stake. When we do take action, it needs to focus on thoughtful and creative collaboration. Dennis noted the coincidence of Boston University’s release of its Climate Action Plan on the same day that the City of Boston announced the Carbon Free Boston by 2050 goal. Penni McLean-Conner with Eversource Energy shared her experience managing the past three storms and the underlying strategies Eversource deploys to deliver resiliency. Over the past couple of weeks, Eversource has been working to restore power to over 1,000,000 people in the region. Penni noted that “customers don’t like being left in the dark,” emphasizing Eversource’s commitment to restoring power while maintaining two-way communication with customers. She also highlighted the infrastructure hardening tactics to minimize the need for resilient responses, for example, the elevated substation in South Boston which T&D World Magazine featured on their cover. Steve Pullins of Dynamic Energy Networks (DEN) identified the critical role that microgrids will play in the energy future and how investments need to be facilitated. Steve walked us through society’s response to multi-day power outages and thus identified which community facilities need to be prioritized for resilient power. Steve also noted DEN’s availability of substantial financial resources through a partnership with The Carlyle Group. After a brief break, the stakeholders convened for a roundtable discussion. A question produced from the prior night’s stakeholder dinner asked: “In a perfectly resilient city in 2050, what factors did the city planners consider and how did they do it? Discussion ensued and was facilitated by HG Chissell. Insights were shared on making resiliency upgrades by discussing what needed to be done, but the primary question addressed was who would pay for the upgrades. It was agreed that preventing infrastructure damage doesn’t magically materialize funding, and that steps need to be taken to ensure funding is available. There appeared to be a consensus on getting insurance companies involved and establishing regulatory mechanisms so that every stakeholder gets value out of resiliency. These energy experts are facing a harsh reality and are approaching this problem as objectively as possible. Assets worth billions of dollars and the well-being of millions of Boston citizens are at stake. The threats of climate change have been acknowledged, as well as the shortcomings of our energy system. 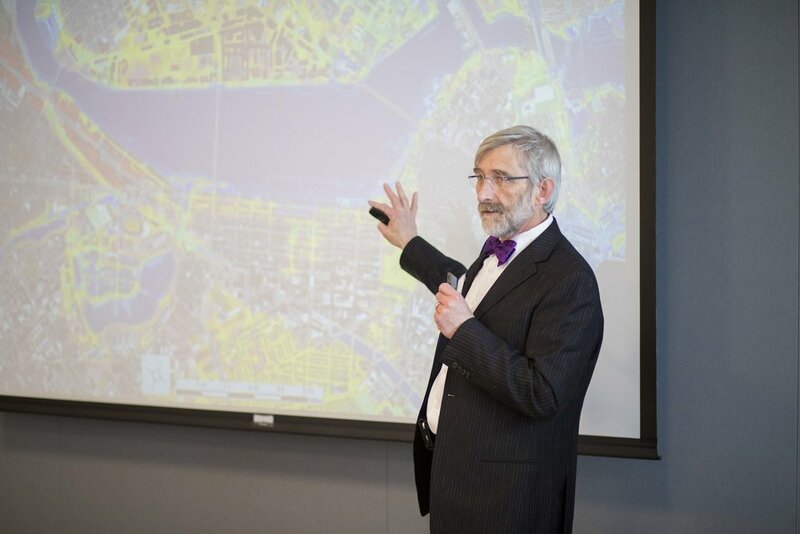 Rooted in reality, these stakeholders have convened to facilitate the needed resiliency solution and have produced a highly-pragmatic next-step for city planners. 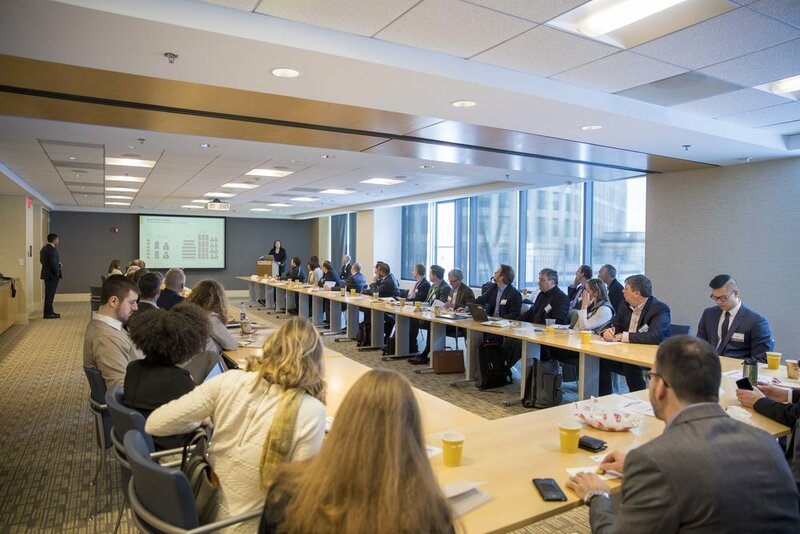 The second quarter Boston Advanced Energy Stakeholder Breakfast will be held on June 14, 2018 and will cover the topic of: Smart Buildings and Grid Modernization. More details can be found here.